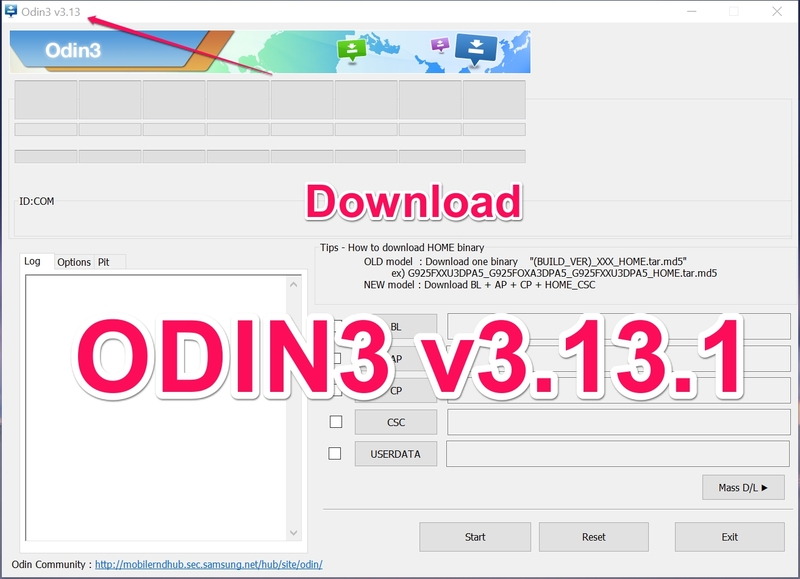 Download Odin 3.13.1 for your Windows PC. This new update is rolled out because of the Samsung new compression method on its firmware files. This update support all the latest flagships of Samsung including Samsung Galaxy S9 and S9 Plus. Moreover, it also supports all the previous models, you can download the Odin 3.13.1 from the following links below. ODIN is a tool used to make firmware changes in Samsung smartphones running Android operating system. With the help of this tool, you can inject any custom Samsung ROMs into your devices. This tool can also help in Rooting and updating your Samsung devices. You can install Custom Recovery or can roll back to the original or Stock Samsung device firmware at any time using this Latest ODIN 3.13.1 tool that we are sharing here. There have been many ODIN versions released so far. So we have decided to post all those links along with the latest version of this tool for Windows & Mac. The latest version of Odin along-with older versions are given below. Older versions of ODIN are given here with respective download links in the list below. If any download link is not working, Please do tell us in the comments so we can fix it for you. To download the Odin for Mac or the JODIN 3. Follow this guide. Hope you have successfully downloaded and installed Odin 3.13.1 2018 on Windows PC.